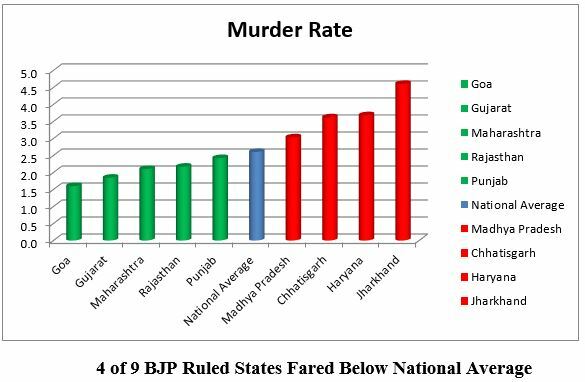 Most BJP Ruled States Fare Worse On Law & Order, Contrary to Amit Shah’s Claim! 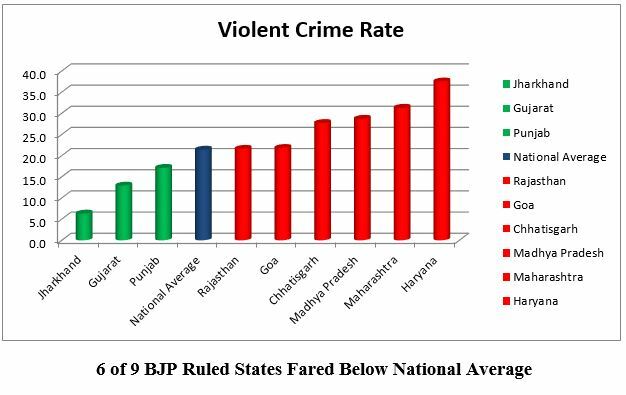 Recently, Bhartiya Janta Party (BJP) President Amit Shah in a rally in Uttar Pradesh (UP) claimed that the states that are ruled by BJP fare better on law and order when compared with the rest of India. Since the claim was made several times during the recently concluded elections, we thought it is important to examine the claim and present the truth to the people. On examination, the claim has been found to hold no substance. Given below is an analysis of the latest data reported by National Crime Records Bureau (NCRB), the government body responsible for analyzing the crime related data. For our analysis, “Crime Rate” has been used as the indicator for comparison. Crime Rate is defined as crimes committed per 100,000 populations. This is a standard indicator used across the world for comparisons. 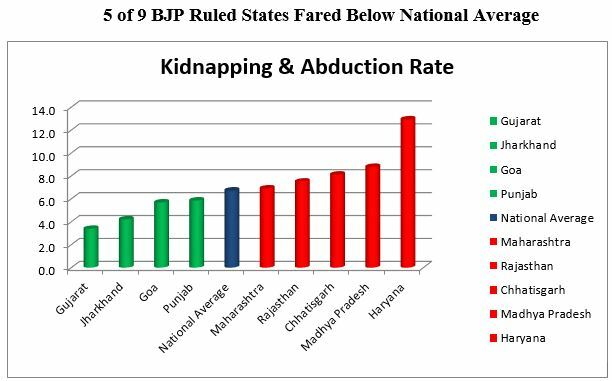 Since latest data on crime is available for the year 2015 only, we have restricted our analysis to the states which were ruled by BJP in the year 2015. The data collected and analyzed by NCRB, a division of Ministry of Home Affairs, clearly suggest that there is no substance in the claim made by BJP President Amit Shah and subsequently reiterated, multiple times, by Prime Minister Narendra Modi. The claim is nothing but a political rhetoric. Join Us: What is the claim of any politician or government that you would like us to Fact Check? Write to JoinUs@electionpromisestracker.in and we would attempt to present the complete, unbiased and meaningful truth about the claim!